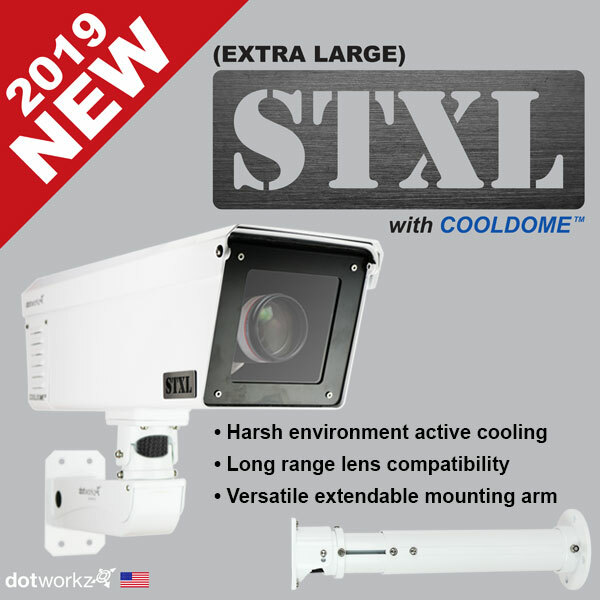 NEW FOR 2019: STXL is an actively cooled long lens and camera enclosure. 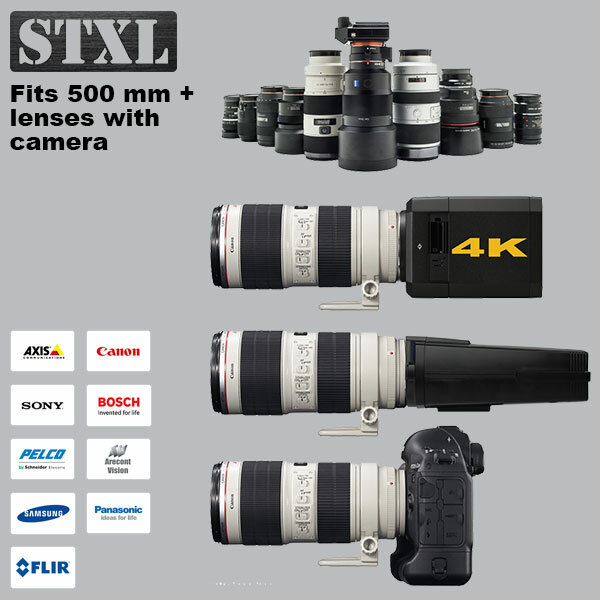 The XL form factor accommodates 500mm+ high-resolution camera/telephoto lens combinations. 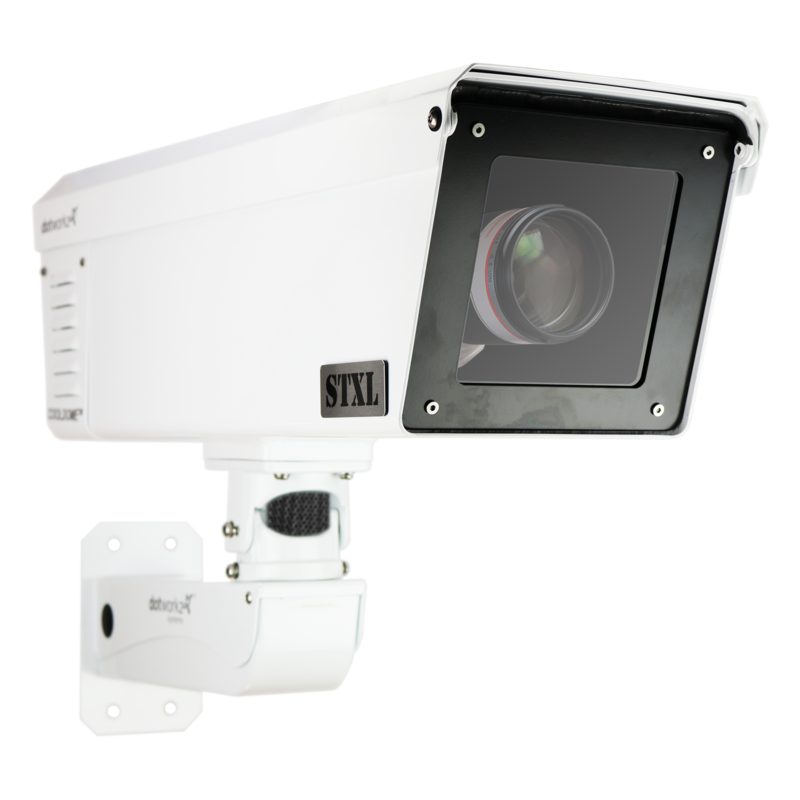 Built to heavy duty professional grade standards, it protects cameras to IP66 & IK10 levels. 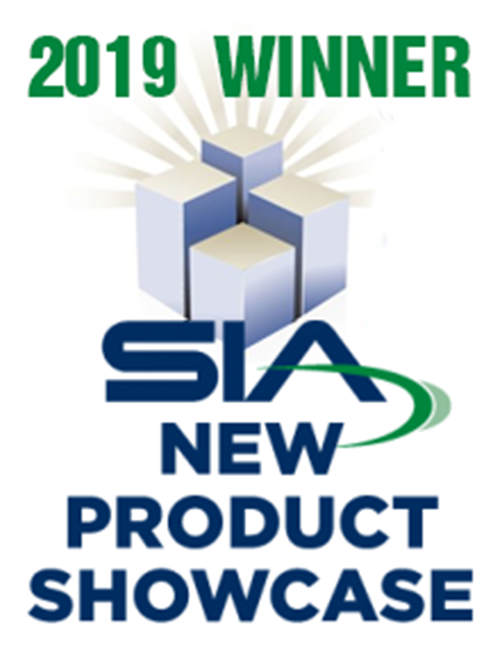 In addition to the high temperature lens protection levels of the actively cooled COOLDOME™ version, the STXL is available in other Dotworkz’ industry leading environmental packages, including the de-icing Ring of Fire, Tornado, Heater Blower and a base model. 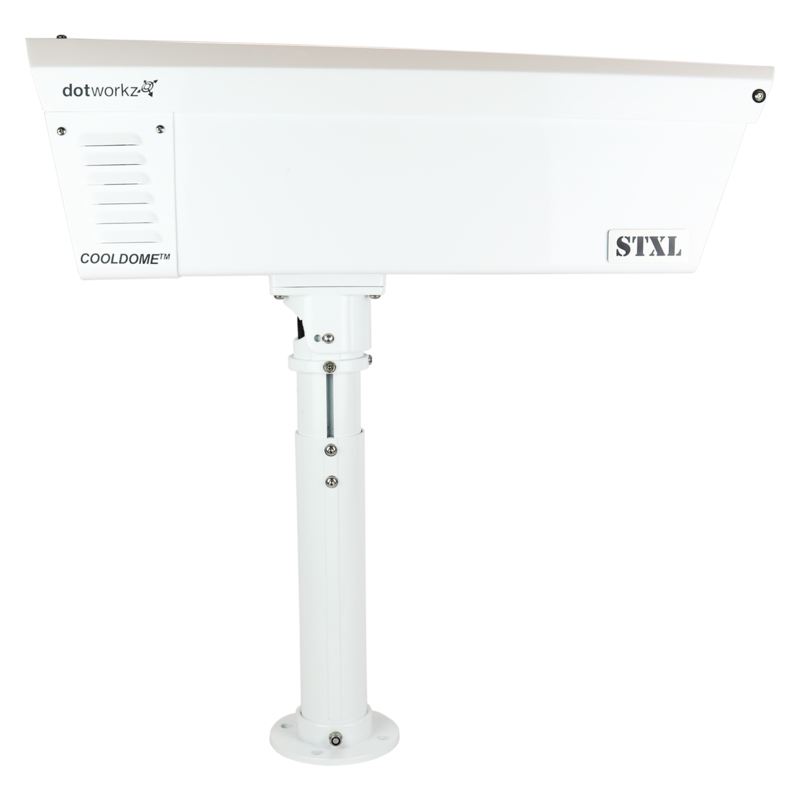 In line with Dotworkz’ legendary high durability and engineering, the STXL is purpose-built for the harshest conditions, from extreme heat or cold to even high-humidity marine applications. 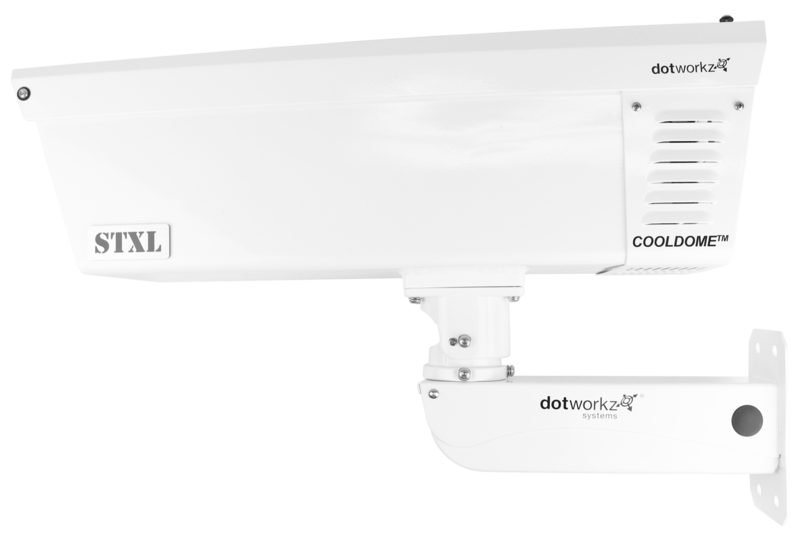 The Dotworkz STXL-CD is an engineered outdoor housing system that is designed to house & protect virtually all indoor box & brick camera models, especially Large Form Factor Cameras with Large High Zoom Lenses, to be turned into a complete rugged outdoor system solution. This Extra Large housing solution is designed for a wide array of harsh & challenging environments. 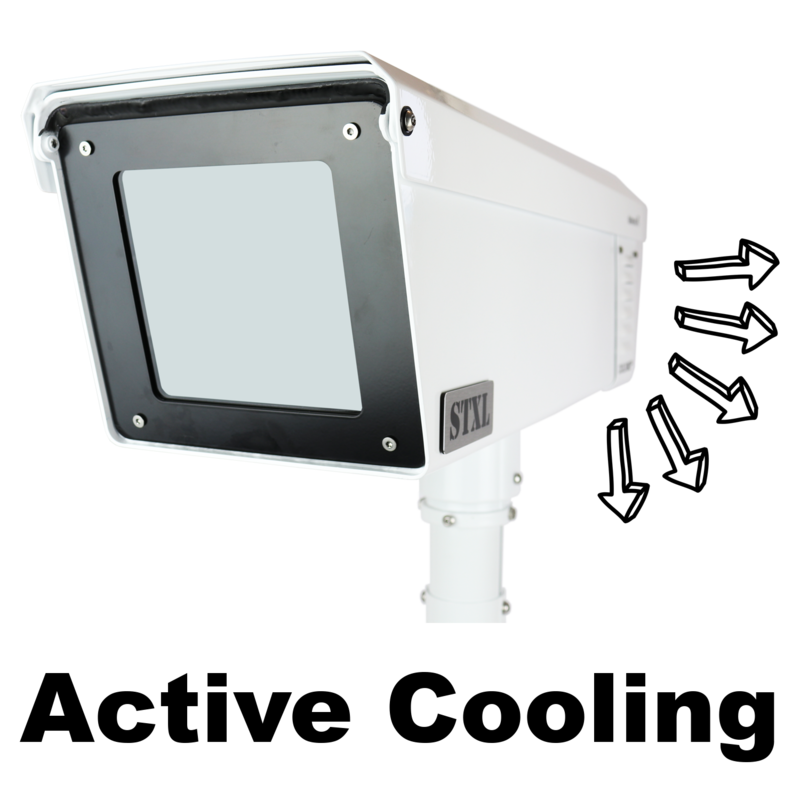 IP66 NEMA 4X ingress protection of housing, provides the highest levels of protection from water, dust, marine, and vandal abuse, while providing extended temperature operating range of these large form factor camera & lens combinations, by the Dotworkz Active Cooling & Heating systems integrated into this housing system. 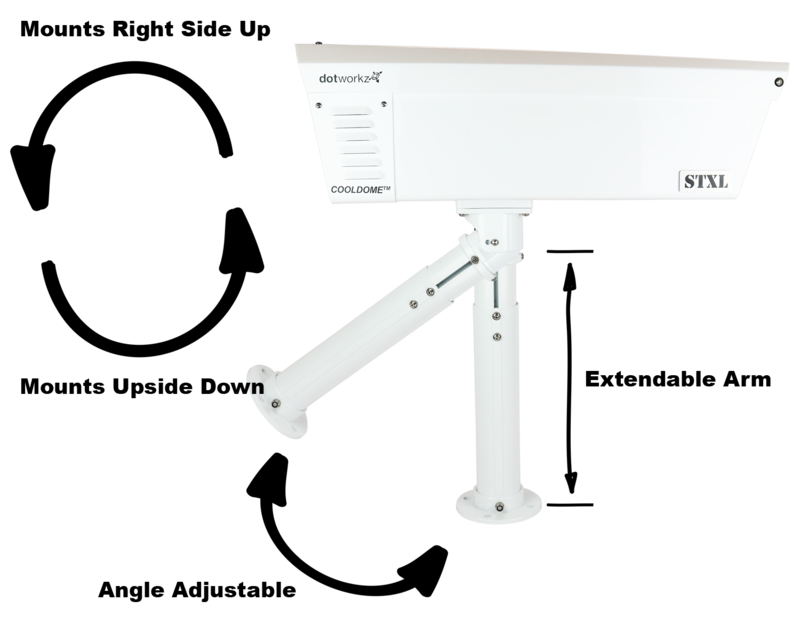 Included is the Heavy Duty Stainless Steel wall mount arm that allows for quick, simple, & secure mounting of housing into the most common installation conditions. 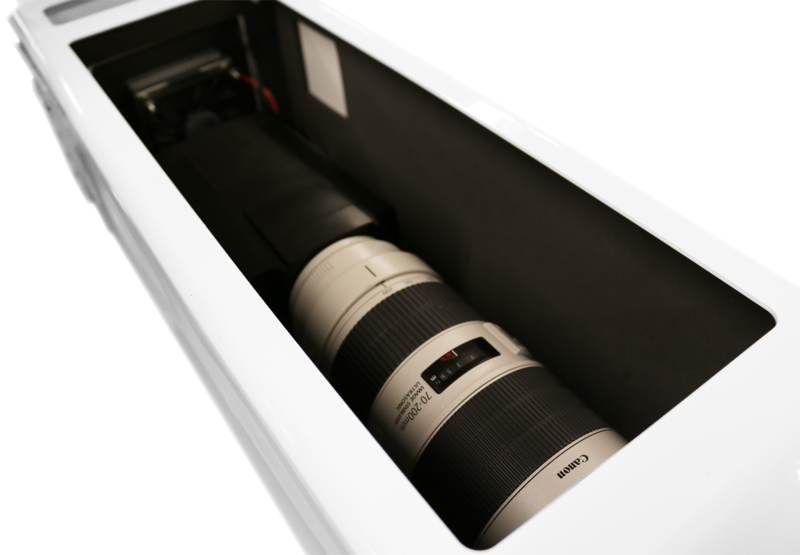 Other optional mounts available for a broad array of deployment mounting options. 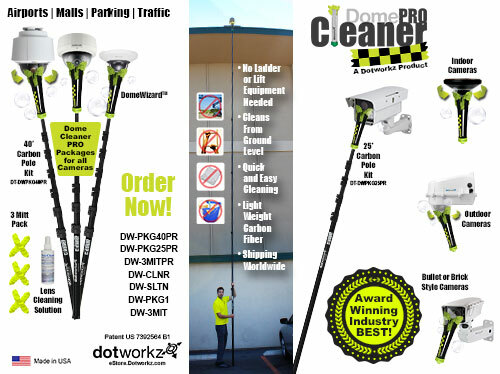 Ideal for Stadiums, Traffic Safety & Traffic Management, Border Security, etc.